Batch cooking for this week was spread out over the three mornings. We grocery shopped on Friday morning – nice to avoid the weekend crowds. Saturday morning I was all set to batch cook and batch prep salads. I find the time spent in the kitchen is a little bit like therapy. Chopping vegetables and making food the week is a calming activity. I love all the colors of the plant foods and I feel good knowing we are going to be eating healthy delicious food all week. My inner audience (as Dr Lisle talks about) is applauding my efforts to take good care of myself and hubby Tom! 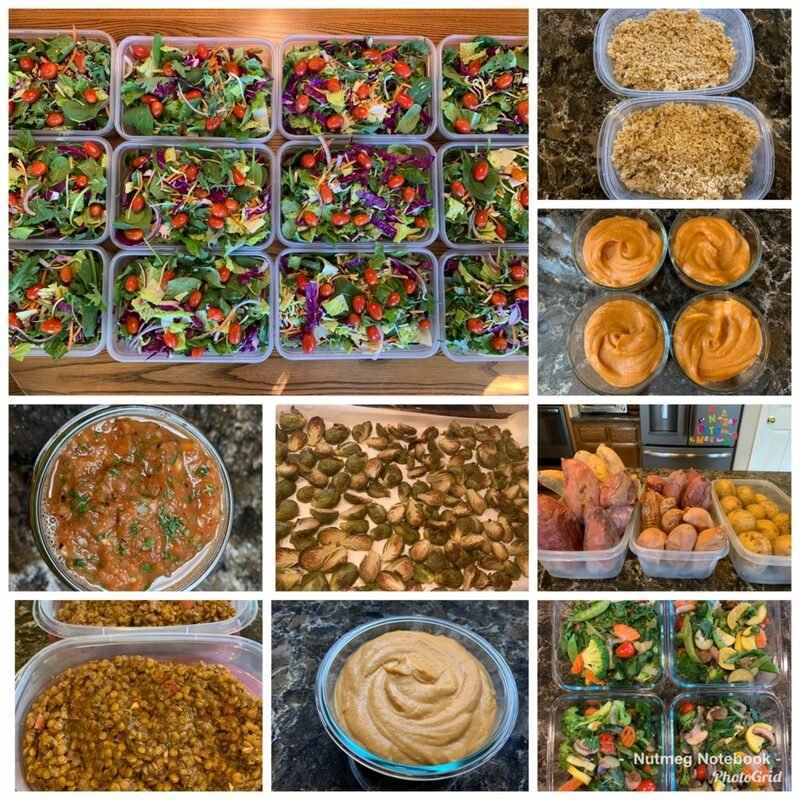 This weeks batch cooking included clockwise from the top left, Batch Prepped Salads, Instant Pot Oat Groats, Fall Pudding, a variety of baked potatoes, steamed vegetables, Vegan Cheeze Sauce, Chili Lentils for Tacos, Tami’s Easy Red Salsa and oven roasted Brussels Sprouts. In addition to all of this we already have cooked brown rice and a variety of soups, chili, stews and veggie burgers in the freezer from previous batch cooking sessions. We just made a few things each morning the past 3 mornings – including early this Monday morning! Easy – peasy and now we have food to eat all week long. 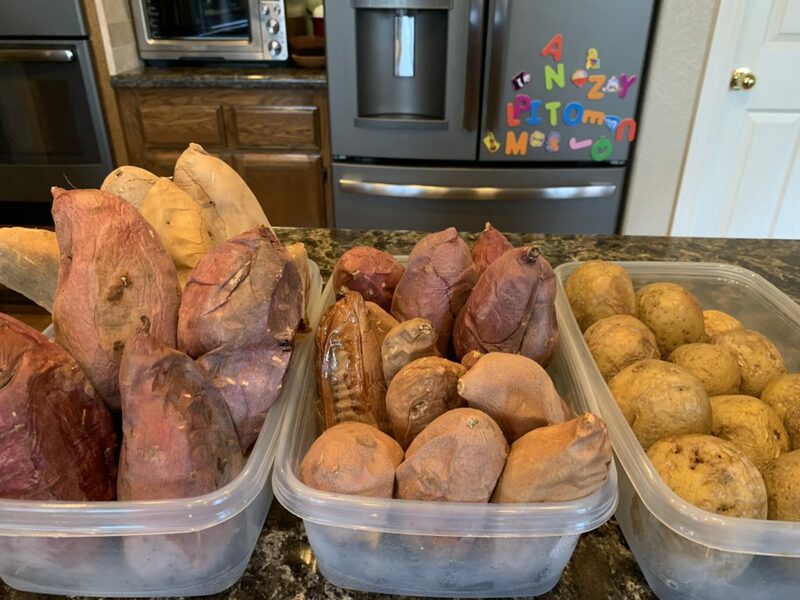 First thing Saturday morning Tom baked Yukon Gold potatoes, Garnet Sweet potatoes, Japanese Sweet Potatoes and Hannah yams. Preheated 400 degree oven – 1 hour for the Yukons, 1 hour and 20 minutes for the rest. We only pierce the Yukon Golds with a sharp knife but not any of the others. 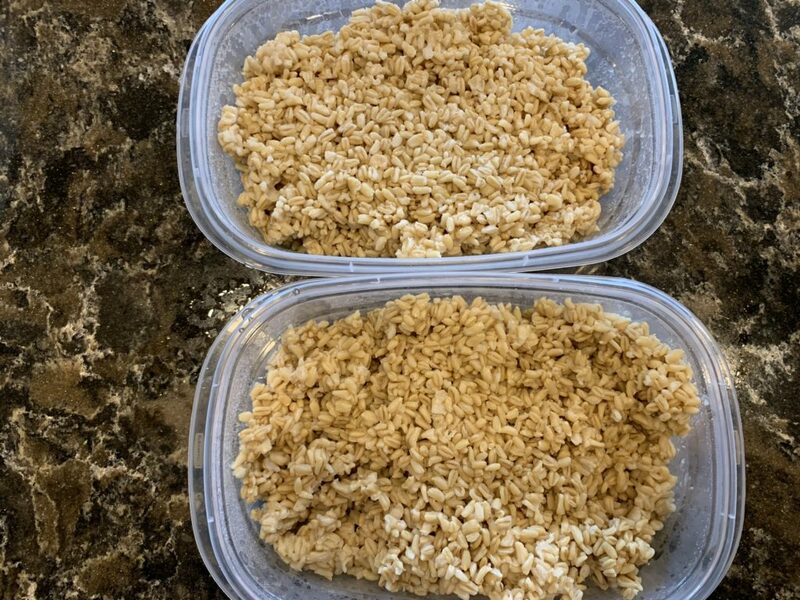 Instant Pot Oat Groats made to come out like brown rice. I use these in a savory way in place of brown rice. I love the texture and flavor and they help reduce LDL cholesterol. I like them in my chopped Salads like the Mexican Chopped Salad. Chili Lentils for Tacos are a family favorite. It makes a big batch and they freeze well. I will also share some of these with my daughter’s family. Since she is a busy mom with twin babies and a toddler I like to share some home cooked food to try and make life easier. Use these with corn tortillas, Jicama Tortillas, on a salad, in romaine leaf wrappers, stuffed into a baked potato with Donna’s Vegan Cheeze on top or baked corn tortillas chips for delicious nachos. 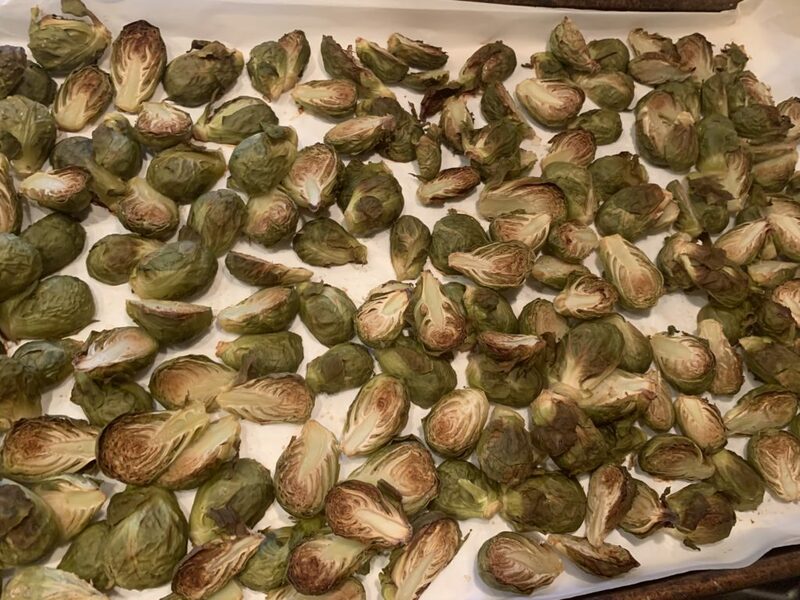 Oven roasted Brussels Sprouts – 2 pounds cut in half – roasted in a preheated 400 degree oven for 40 minutes. No seasoning needed for us these days – we like them plain. However if you want a little something more use Chef AJ’s recipe of using equal amounts (about 2 Tablespoons each) of a sweet low acidity Balsamic dressing like Napa Valley Naturals Grand Reserve mixed with an equal amount of no salt added mustard and toss with the sprouts prior to roasting. Delicious! A big batch of Fall Pudding (double of what you see here) half of it will be shared with our little Granddaughter Sweetpea! She loves this pudding. Don’t let the name of this recipe stop you from making it year round – it’s delicious – so creamy, sweet and no added sugar! It’s a dessert you can feel good about eating and sharing with the children or Grandchildren. This is my favorite medley of vegetables lightly cooked on the stove top and divided into multiple servings. As long as you don’t overcook it you can reheat it quite well and it makes having a vegetables for breakfast, snacks or as a part of a meal so easy. I will need to make more as the week goes on but it is really quick and easy. I will make a video and show you how I do this soon. Subscribe to the blog so you won’t miss out on any new blog posts or recipes. This is a new vegan cheeze sauce I am working on for a new project so I can’t share the recipe yet. 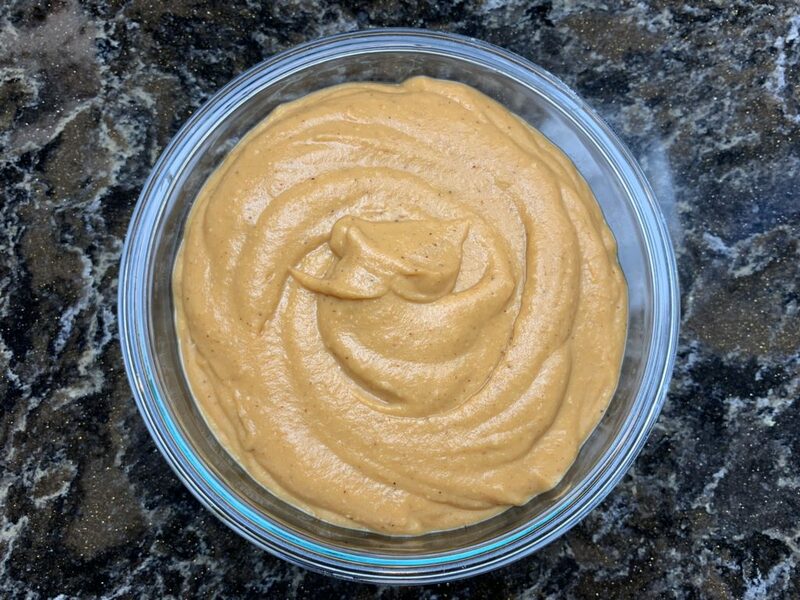 However I have an excellent recipe Donna’s Vegan Cheeze Sauce that my friend Donna developed and I think you’ll like it! Use the cheeze sauce on the tacos, over a baked potato with steamed broccoli, top your steamed vegetables, perfect to dip Smashed Potatoes in or Air Fried French Fries, or Garlic Mashed Potato Stuffed Portabello Mushrooms. My favorite Nutritional Yeast is in the link below. When you adopt an SOS Free ( no salt, oil, sugar) Whole Food Plant Based (WFPB) lifestyle you soon realize that you need to make just about everything from scratch. If you find a no salt added salsa it contains sugar if it’s sugar free it has salt! No worries. It is so easy to make your own salsa anytime of year using fire roasted canned tomatoes. It takes less than 10 minutes to make this. As soon as we can get good fresh tomatoes I will show you how to make a delicious fresh tomato salsa. 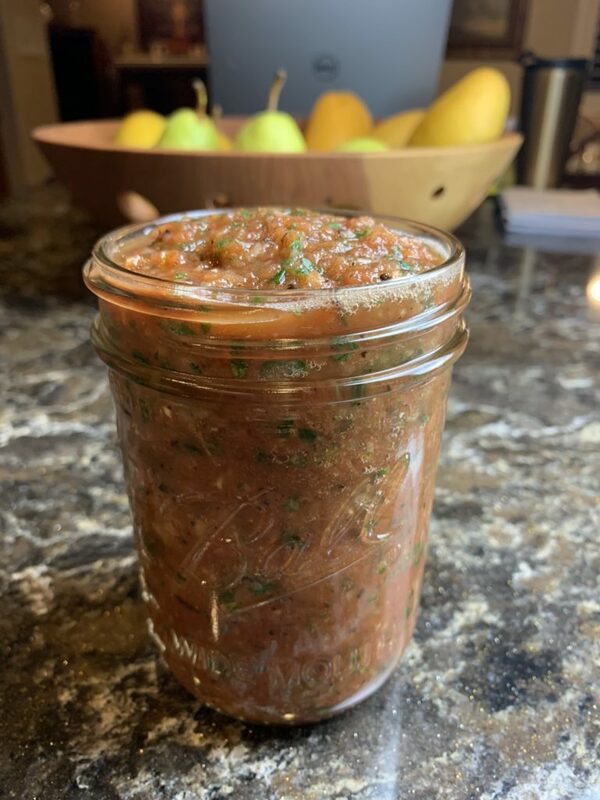 For now try Tami’s Easy Red Salsa – I made it this morning quick and easy. Also check out the Salsa Verde recipe that will blow you away and you will never buy salsa again after learning how easy it is to make your own. 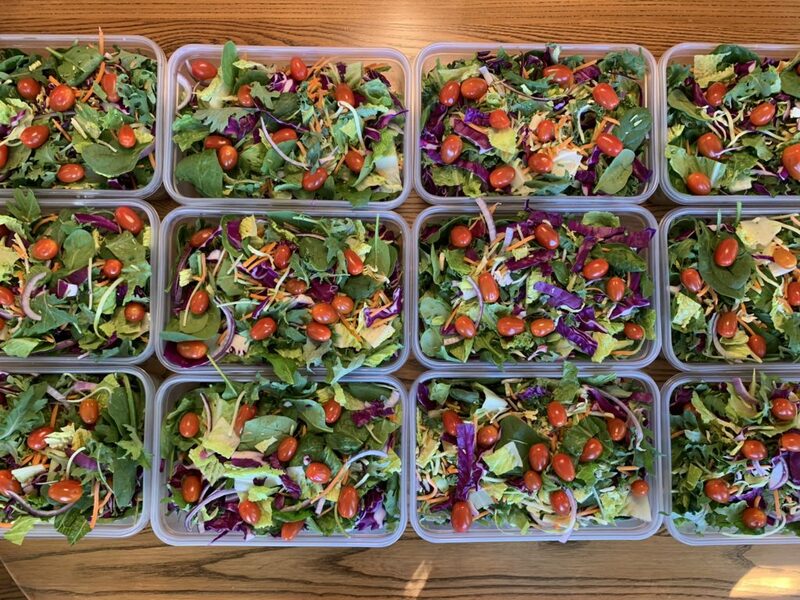 For me the most important part of batch prepping food for the week are my big beautiful salads. If I only had time to make one thing it would be my salads. See my new blog post and video for Simple Salad Batch prep. I eat these everyday for lunch as a Chopped Salad – I will have a new video coming out soon for chopping salads. One of my favorite chopped salads is the Mexican Chopped Salad. You can make them taste different every day of the week by changing what you add to them after chopping. 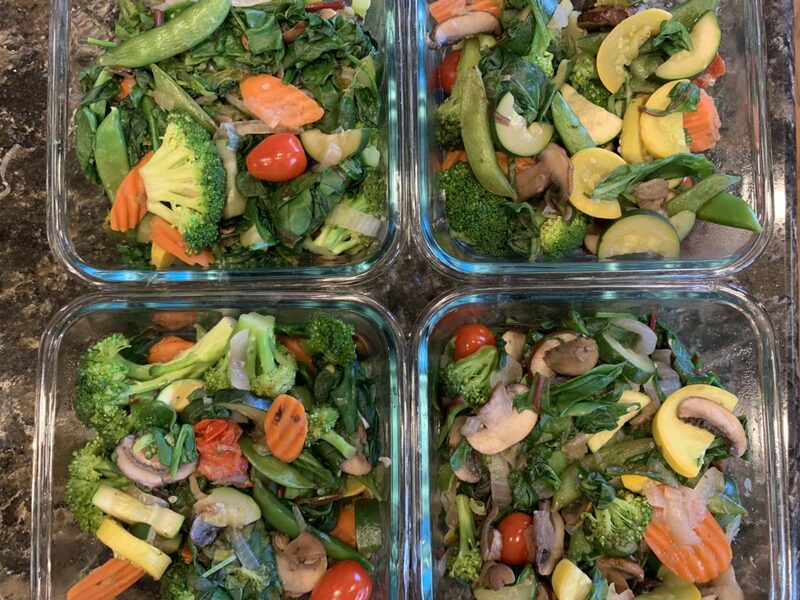 I prepped 12 salads on Saturday as we needed salads for the weekend as well as the week days. Having a big beautiful salad for one meal a day is something I have been doing since I adopted a WFPB lifestyle in 2013. It is one of Dr Fuhrman’s recommendations and I love it. Tom goes through phases of joining me in having salads and right now he is loving them too! I think it helped me lose weight and I am sure it helps me keep the weight off. It is so filling yet low calorie density and nutrient rich. It floods my body with health promoting nutrition, fiber, water, nutrients and antioxidants. Dark leafy greens contain Thylakoids which have been shown to have appetite suppressing properties. “A study in the journal “Phytotherapy Research” found that mice fed a high-fat diet ate less when also fed thylakoids. Over time, this helped the group of mice maintain a healthy weight, while the mice fed a high-fat diet only gained an unhealthy amount of body fat. Further research found that thylakoids promote the release of cholecystokinin, a hormone produced by the gastrointestinal tract that encourages a feeling of fullness and decreased desire for food. This is due to cholecystokinin’s effects on the hypothalamus, a part of your brain that controls hormone secretions, energy expenditure and feeding behavior.” From Foods High In Thylakoids – Healthy Eating SFGate. 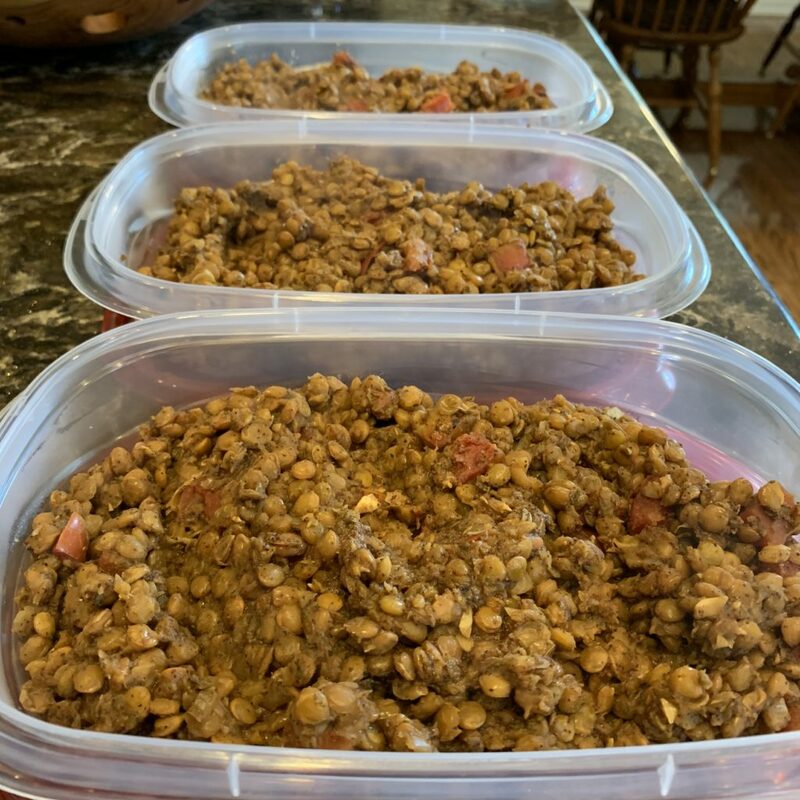 I hope this post about batch cooking helps you as you navigate a WFPB Whole Food Plant Based lifestyle. If you are new to this way of eating be patient with yourself. It is a learning curve figuring out what to eat and how much to cook each week. Eventually it gets easier! I promise it really does. Just keep trying different things until you find what works for you. The health benefits are worth the work. You are worth the work. When you use our affiliate links you help support our work here without any extra cost to you. Thank you for your support we greatly appreciate it. We have an Amazon Recommendation Page where we share our favorite small kitchen appliances, gadgets, foods, books, hiking gear and fun things for the Grandchildren. You can also find our Amazon Shop by clicking on the Shop tab at the top of this page. We also are affiliates with the amazing Holland Bowl Mill from Holland Michigan. 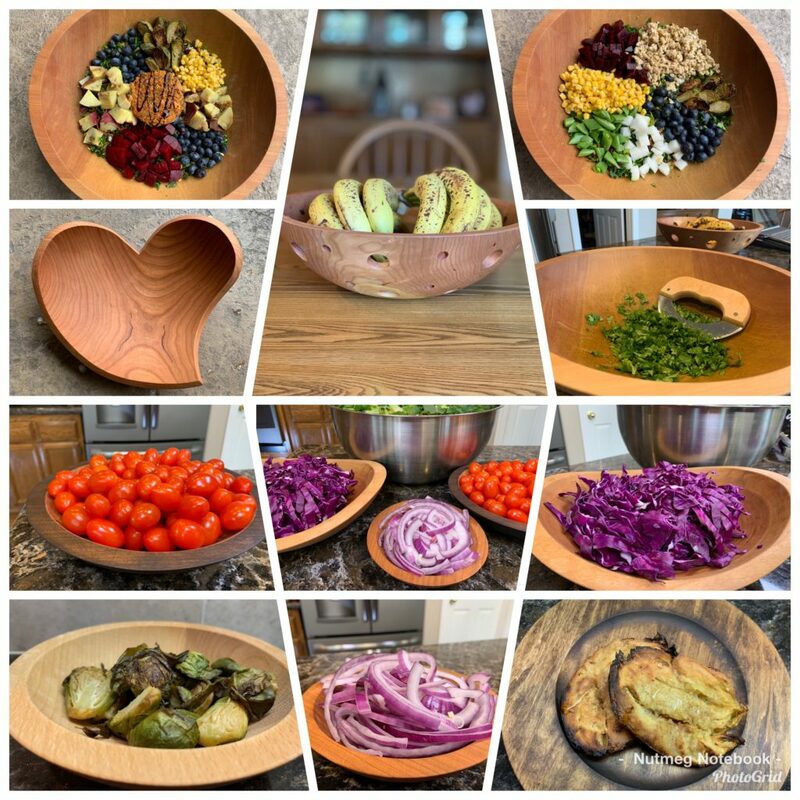 Holland Bowl Mill makes all of these beautiful bowls, plates, cutting boards, salad bowl sets, fruit bowls and of course the very popular 15 inch bowl that I use to make my chopped salads! When you use our link to purchase items from Holland Bowl with a minimum $125 order you get a free mezzaluna knife included in your shipment. They offer free engraving on the bottom of your hand crafted item. These are heirloom quality works of art. We love having them in use all around our kitchen. 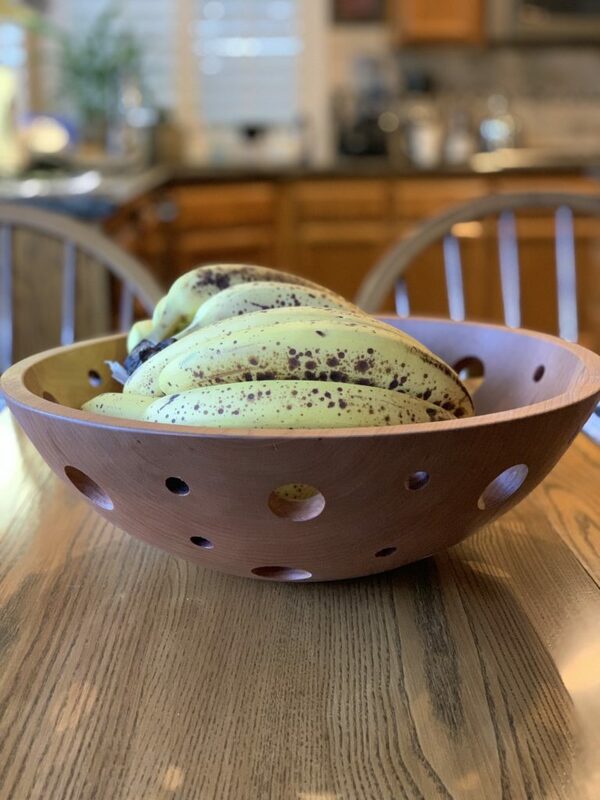 I am loving this new 15 inch cherry Holland Bowl Fruit Bowl. It has holes to allow the fruit to get more fresh air and it helps the fruit last longer on the counter. I love that! You can find it at Holland Bowl Mill. Hi Tami, I love your blog! I’m new to this way of eating so it’s so helpful. How do you incorporate the potatoes into your eating during the week? I batched some but I’m not finding that I’m eating them. Thanks! Thank you so much for your kind comment. I am delighted that you like the blog. If you follow me on Instagram or my Nutmeg Notebook Facebook page that is where I post a lot of my meals and you should get some ideas from that. Also I have other Batch Cooking posts where I give lots of ideas. Here is a link to one that talks a lot about potatoes. 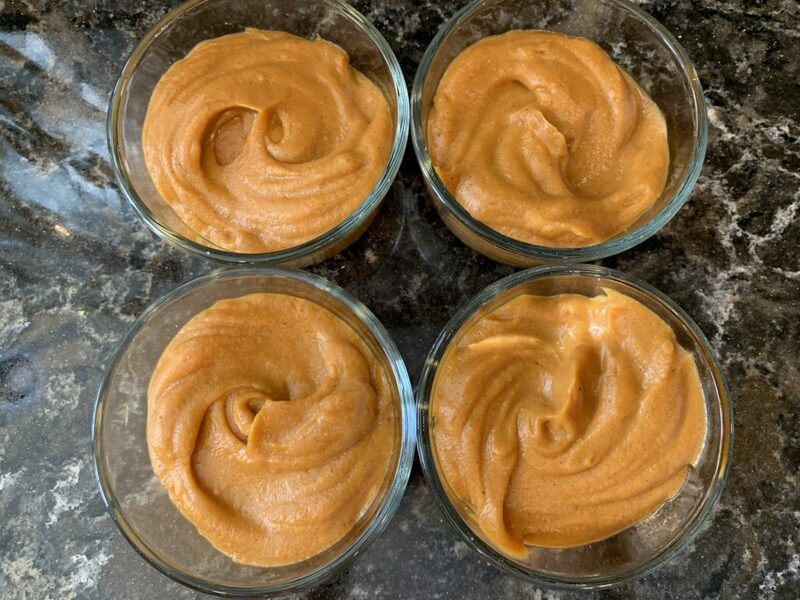 https://www.nutmegnotebook.com/plant-strong-recipes/easy-whole-food-plant-based-batch-cooking-2/ To find the other Batch Cooking posts click on recipes at the top of the page and go down to categories and click on Batch Cooking. Also check out my YouTube channel there is a Batch Cooking video there. Welcome to the wonderful world of plants. Wow! I am bookmarking this page. So many great ideas to add to my Sunday batch cooking. Tami, you have changed my life so drastically. I am now back in ONEderland since I don’t even know when and it feels soooooo good! know how you are doing. I love getting positive feedback like this! This post is amazing. Thank you so much. So many good ideas I need to leverage ASAP. Looks like you eat alot of the same foods all the time…..salad, potatoes, sweet potatoes, some type of stew or chili……….don’t you get tired of it? We love the food we eat! We eat ethnic food like Mexican, Italian, Indian as well as vegan American dishes. Food isn’t our entertainment or where we are getting our biggest dopamine hit from. When we eat simple and clean whole plant food we can really enjoy the natural flavors of it and we don’t need it to be fancy or filled with salt, oil or sugar for it to taste good. We also don’t need food to be the most exciting thing in our life – there is so much more to life than just the food we eat. Don’t get me wrong we like to eat – it’s just the not the center of our lives like it used to be. It’s such a delight that we can enjoy a simple baked potato with beans, corn and salsa! The experts say that most people only have about 10–12 meals that they rotate on a regular basis. The same is true for us. The body craves what you habitually feed it. We just happen to habitually feed our bodies healthy food and that is what we desire more of. Hi Tami, Nice post. I’m new here and appreciate your simple approach to eating and food prep. The foods look great freshly prepared – but I’m wondering how well the salads will hold out after a few days, won’t they look mushy? I’ve tried making a large salad to eat from over two or three days and I find that certain items just don’t do well. What is your secret for making salads keep fresh? I love all your batch prepping ideas, but I worry that I won’t have enough room to store everything each week. You must have at least two refrigerators, right? I do have two refrigerators. Once all the batch prepped food is ready it all fits in my kitchen fridge. Also my fridge has the French doors and the freezer is on the bottom. The fridge compartment is spacious!